Ayurveda or Ayurvedic medicine is a type of mind and body treatment that originated in India. An article published on The Chopra Center website notes that the practice dates back thousands of years prior to the onset of modern medicine, and focuses on helping people stay vibrant and healthy. Ayurvedic medicine features various forms of health and wellness methods such as yoga, massage, and guided meditation as well as herbal medicine and body-specific changes in diet. The term Ayurveda is a loose translation of Ayur or “life”, and Veda or “science” in Hindi. The holistic treatment stresses on the importance of achieving balance between three types of life forces or doshas, which include Vata dosha, Pitta dosha and Kapha dosha. Ayurveda practitioners have long believed that attaining a balance between the doshas may help stave off a variety of health issues. 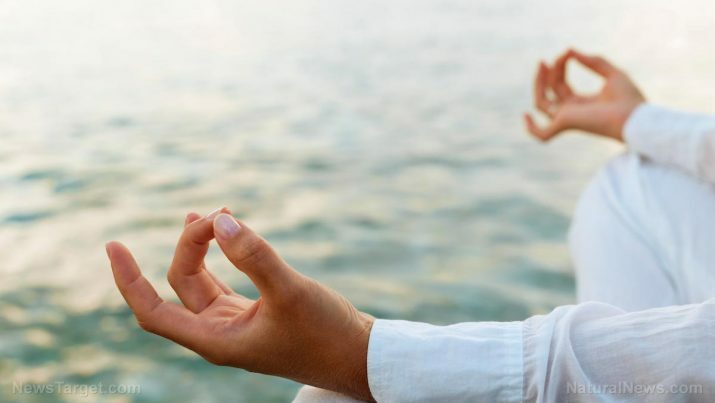 Ayurveda or Ayurvedic medicine employs a variety of techniques — including meditation, yoga, herbal treatments, and breathing exercises — that help relieve stress and anxiety. An entry posted on the Health Fitness Revolution website cites an analysis carried out by the St. Elizabeth’s Medical Center in Massachusetts, which indicates that 25 out of 35 trials reviewed have demonstrated the beneficial effects of Ayurveda on stress management. Likewise, the entry adds that Ayurvedic treatments such as yoga help improve autonomic nervous function. The holistic therapy is also known to address insomnia and other sleeping disorders. The holistic practice is also touted for its positive effects on both the cardiovascular and digestive profiles. An In Life Health Care entry notes that both the herbal treatment and exercise regimen included in Ayurvedic practice help reduce the odds of high blood pressure levels, which contribute to a host of cardiovascular conditions including heart attack, stroke, coronary heart disease, and heart failure. In addition, Ayurvedic medicine is shown to cut the risk of developing diabetes. The mind- and body-conditioning techniques in Ayurveda allow patients to effectively manage their blood sugar levels and increase insulin production. The practice is also known to promote weight loss, thus lowering the odds of suffering from the metabolic condition and its subsequent complications such as foot ulcers, eye damage and kidney failure. Moreover, many Ayurvedic medicine techniques are found to relieve a plethora of digestive issues such as bloating and intestinal cramps. It also improves the respiratory system’s overall health. Ayurveda is highly regarded for its beneficial effects on the immune system too. The holistic therapy is touted to effectively cleanse the body and eliminate toxins, heavy metals, and other unwanted chemicals. The practice is also found to promote hormonal balance and maintain a healthy menstrual cycle. Furthermore, Ayurveda or Ayurvedic medicine boosts skin and eye health health and keeps inflammation at bay. Ayurveda is particularly beneficial to the central nervous system’s overall health. Likewise, the holistic practice helps maintain a healthy cardiovascular profile. Ayurvedic medicine also supports the digestive, urinary and respiratory systems. The ancient treatment improves reproductive health and fortifies the immune system as well. Ayurveda prevents the onset of anxiety, stress, insomnia and other sleeping disorders. Ayurveda keeps heart attack, stroke, coronary heart disease and heart failure at bay. Ayurveda lowers the odds of diabetes, inflammation, eye damage and kidney failure. Ayurveda is particularly beneficial to the central nervous system’s overall health. Ayurveda boosts the body’s cardiovascular and digestive profiles. Ayurveda improves the respiratory, urinary and immune systems. Ayurveda also supports the eyes, skin and reproductive health.